At Goodson Signs we provide thousands of award and recognition possibilities. From awarding a child's soccer accomplishments to recognizing a CEO's service we've got an award that to make them feel proud. Whether you decide on a trophy, plaque, medal, sculpture, promotional item or personalized gift; we can provide you with what you need to accomplish your desires. 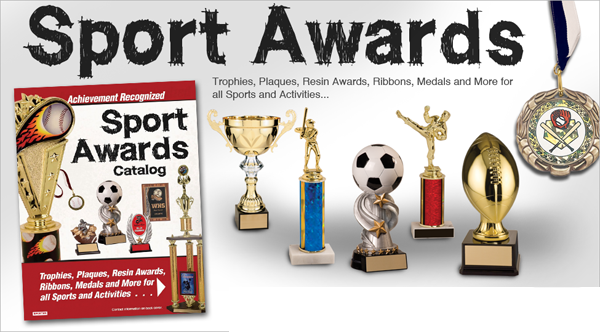 We have 3 catalogs of different award types available to you. These are only some of what we can provide. Pricing shown is is the manufactures suggested price and may not include set up charges or quantity discounts. Please feel free to browse the site and then contact us to receive final pricing. Looking for the perfect way to show your appreciation for a job well done? Corporate Awards are the perfect solution. Choose from elegant acrylic awards to sturdy, professional plaques or personalized gifts. 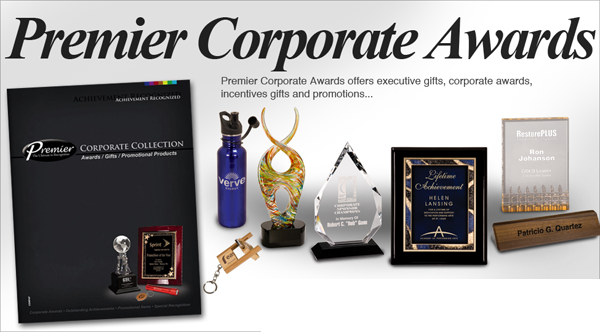 Click to see the wide array of Corporate Awards. Any athlete knows that earning a trophy, cup, or medal means you've won. You are one of the best! We have awards for any sport and accomplishment. Please feel free to browse our extensive list of Sports & Academic Awards. Acrylic awards and plaques have a professional and distinguished look that add that extra level of honor and prestige. 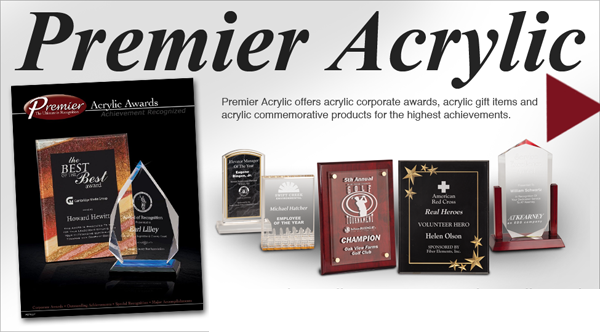 Take a look at our catalog of Premier Acrylic Awards.